Many commercial buildings and company Head Quarters boast impressive atriums that are designed to look good. However, when they are in need of a clean they don’t appear as good. 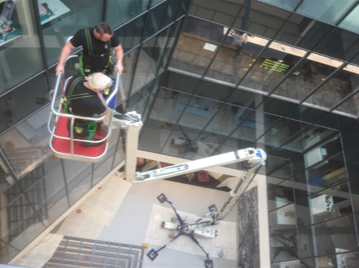 We can clean your office atrium with the minimum of disruption at a time that suits your business, you can make arrangements for a one off clean or have this scheduled to complete on a regular basis.